Intermec’s expertise in real world RFID implementations, combined with its knowledge about building rugged handheld devices is reflected in its latest Intellitag® offering, the Intermec IP3 Intellitag reader, an accessory handle for attachment to the popular Intermec® 700 Series Color mobile computers. The Intermec IP3, the next generation of portable RFID readers from Intermec, delivers first-of-its kind capability by combining the power of a handheld mobile computing device with three radios, and the ability to read and write to Intellitag RFID tags. 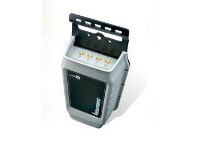 Users of the Intermec 700 Series Color mobile computers have posted productivity gains and enjoyed application flexibility enabled by the three radios— personal area (PAN) or *Bluetooth™, local area (LAN) and wide area (WAN)— as well as the area and linear imagers integrated into the handheld device. Combining those capabilities with the IP3, and the strength of the Microsoft® Pocket PC platform, gives users an unheard of flexibility in scanning, data transmission and application computing. While RFID solutions are ideal for eliminating human intervention and line of sight restrictions in data collection applications, there is always a need for exception-based scanning. 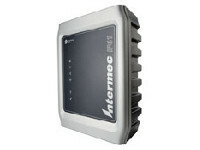 The Intermec IP3 and Intermec 700 Series in tandem deliver a truly mobile RFID solution. It allows the user to take the technology to the work—whether it’s on the shop floor, the store floor or the receiving dock, whenever it’s more practical to bring the read/write device to the tagged object rather than moving tagged objects passed a fixed reader. The Intermec IP3 is ready for integration into supply chain management for retail operations, industrial manufacturing, and logistics applications. 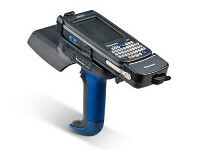 The Intermec IP3 reader is ideal for RFID solutions requiring an extended read range, multi-tag sort, read/write, and memory capacity not provided by “proximity” technology. 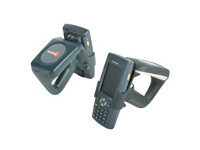 The IP3 Intellitag® reader handle is a snapon, high-impact plastic and magnesium trigger handle accessory that adds the capability to read and to write to Intellitag RFID tags to all Intermec® 700 Series Color Mobile Computers. Identify, Read &Write Examples*: Configured for U.S. FCC Part 15 operation at a distance of 50% of the maximum read range. 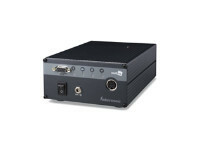 Identifies up to 6 tags per second. * Rates and ranges will vary by tag spacing, movement, mounting surface, surrounding materials, and orientation. Vibration: 1.0 GRMS. 10 to 500Hz, 3 axis (operating) The individual packaging will be designed to pass National Safe Transit Association (NSTA) Procedure Project 1A. Some approvals and features may vary by country and may change without notice. Please check with your local Intermec sales office for further information. Intermec reserves the right to make changes without notice to any products herein for any reason at any time, including but not limited to improving the reliability, form, fit, function or design. Please contact Intermec for current price list and availability.